Also known as Kanyu, Feng Shui is the art of placing and situating a building and its contents in such a fashion that it is in harmony with its surroundings. According to the tradition, cultural and social issues are influenced by natural, metaphysical, and cosmological factors. 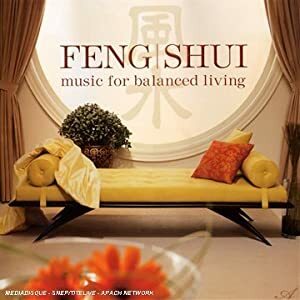 The practice of Feng Shui began in the West Han dynasty in China around the third century BC and was based upon the belief that the earth is a living being and has life and energy. It is said that the energy, or “chi,” of a site or object depends on its topography and physical surrounding. A site with revitalizing energy promotes health for those who live on it, while and site with bad energy damaged those who lived on it. In practicing Feng Shui, much Chinese architecture, followed by both the rich and poor, included designing Chinese cities in concentric rectangles surrounded by walls and lakes, hills, valleys, gardens, and other natural features. Homes were constructed in a fashion that promoted harmonious relationships among members of the family and other families. The left of the home represented the male energy force, Yang, which was connected to the forces of heaven, while the right portion of the home represented the female energy force, Yin, and was connected to the force of the earth. For the building to be considered proper, the building is supposed to be built in order to create a balance with Yin and Yang.